Chaya Salomon was murdered at a Sabbath dinner with her family. The 46-year-old Jewish woman was stabbed to death alongside her 70-year-old father Yosef and her 36-year-old brother Elad. 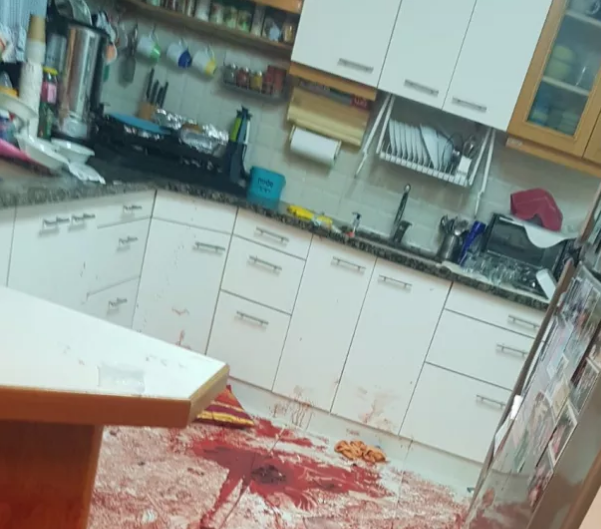 Photos show the kitchen of the Salomon house in the Israeli village of Neve Tsuf covered in blood. The youngest Salomon daughter had given birth to a new member of the family. The bottle of Glenfiddich on the table was never opened. Instead an Islamic terrorist burst in and stabbed the new grandfather. Tova, the new grandmother was badly wounded. Elad’s wife rushed the children to a safe room. His dreams coming true have more to do with the Palestinian Authority and American taxpayers. Like all terrorists who kill Israelis, he will be receiving a salary from the PA. And the PA is funded by you and me. Abbas, the terrorist leader who is Israel’s “peace partner” in the “two-state solution”, touched off this atrocity. Fatah, the organization behind the Palestinian Authority, has repeatedly called for violence. The terrorist’s Facebook message included this plea, "Put in my grave Arafat's Keffiyah and the ribbon of the Al-Aqsa Brigades". The Al-Aqsa Martyrs Brigade is the “military wing” of Abbas’ Fatah movement. Another terrorist attack. More funerals. More calls for restraint by both sides. There are the formal condemnations before everyone moves on to the business of being pro-Israel. The term “pro-Israel” doesn’t mean much. Anyone and everyone can be pro-Israel. AIPAC isn’t backing the Taylor Force Act which would cut off taxpayer money to the Palestinian Authority until it stops funding these attacks. J Street, the anti-Israel group which claims to be pro-Israel and also claimed to be “appalled” by the Salomon murders, is lobbying against the Taylor Force Act. 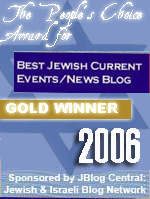 What did this fake pro-Israel posturing amount to when Chaya was being murdered in her own home? I don’t write to take a position on this issue. Only to note that some “pro-Israel” figures can dig into more reserves of anger when fighting the Jewish “right” than over the murder of Israeli Jews. It’s easier for even professionally “pro-Israel” figures to rage at Israel than at the murderers of Jews. If only they could feel a fraction of the same anger when looking at the Salomon’s bloody kitchen floor. Where is Gordis’ call to watch Muslims die in hospitals in Ramallah to make them care? It would be deemed monstrous. “Un-Jewish.” Anyone proposing it would be shunned in “pro-Israel” circles. If Gordis has a position on cutting off aid to the PA after its murders of Israelis, I have yet to find it. So much of pro-Israel advocacy consists of meaningless lip service. 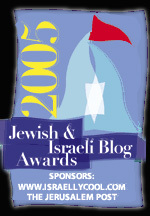 Israel is an abstraction for many of them. Chaya Salomon was a real person. She bled out on a white kitchen floor on Shabbat. And so I offer a counterproposal. Instead of being pro-Israel, let’s be pro-Chaya. Pro-Israel is a meaningless metric. Obama claimed to be pro-Israel while funding the terrorist murder of Jews from the West Bank to Iran. “I am 100 percent pro-Israel," Bernie Sanders insisted after pushing for an anti-Israel platform, falsely accusing Israel of killing 10,000 “innocent” people in Gaza and putting a BDS activist in charge of his Jewish outreach. If that’s pro-Israel, what exactly is anti-Israel? It’s easier to understand what it is to be pro-Chaya than to be pro-Israel. If you want to be pro-Chaya, don’t fund her killers. And not just pro-Chaya, but pro-Hallel. Hallel-Yaffa Ariel was a 13-year-old girl who came home from a dance recital and was stabbed to death by a Muslim terrorist in her bedroom. Or pro-Michael. Rabbi Michael Mark was driving home with his wife and children when he was murdered. Or Pro-Taylor. Taylor Force was a veteran of two wars who was stabbed to death in Tel Aviv. The Taylor Force Act that would cut off aid to the Palestinian Authority if it continues funding terrorism is named after him. Pro-Israel can cover a multitude of sins. It devolves easily into abstractions. And then we are told that giving money to Islamic terrorists is the pro-Israel position because Israeli security depends on the terrorists keeping the peace. For decades, we have been told that the two-state solution which creates a terrorist state inside Israel is actually pro-Israel. And therefore the destruction of Israel is pro-Israel. The left is adept at such Orwellian insults to reality. In the same way that bringing Muslim terrorists to America is hailed as patriotic, funding Islamic terrorists and Iran’s nukes become vital to Israel’s security. And so let’s take a step back from the hall of mirrors. Let’s consider instead what is pro-Sarah. Sarah will be the next victim of Islamic terrorism. Somewhere she is getting on a bus or cooking dinner for her family. And the next Muslim terrorist, let’s call him Mohammed, is plotting to kill her. Mohammed has been listening to the calls by Fatah to kill Jews. He has seen crowds cheer the murderer of Chaya, Yosef and Elad. He has been told by the preacher on Palestinian Authority television that if he kills a Jew, he will go to heaven. He sees Fatah's Facebook message, "If I fall I will not be the first to die, and not the last to die #Rage!" And he knows that he will receive $2,000 a month if he succeeds. What is the pro-Sarah policy? Is it to pour millions more into the war chest of the terrorists so that they can pay Mohammed for her murder? Is it the continuing championing of the Palestinian Islamic State that Mohammed is killing for? Let us break through the intellectual abstractions because Sarah and Mohammed are real. In a week or two from now, Sarah will be bleeding out on the living room floor while her children scream. Or she will lie dying on the back seat of her car with blood and broken glass surrounding her head. It’s happened before and it will go on happening until the pro-Israel position becomes the pro-Sarah position. Everyone or almost everyone is pro-Israel in theory. As long as pro-Israel encompasses both opposing and supporting the murder of Jews, both opposition to BDS and support for BDS, both opposition to terrorists and support for terrorists, then anyone can join and it’s meaningless. Israel is not an abstract idea. It is a nation of millions of individuals. And these individuals are being killed, one by one, by the genocidal imperative of Islamic Supremacism. If Israel, its geopolitical role, its complex political and religious institutions, its history of thousands of years, its relationship to the Jews of the diaspora is too much to take in, it may be easier to focus on the lives of those individuals. There is a booming pro-Israel industry. Much of this industry accomplishes very little. It celebrates boosterism and eschews controversy. It seeks a meaningless middle ground. It believes that Israel is morally superior because it continues to strive for peace even at the expense of Israeli terror victims. There is no pro-Sarah industry. But maybe there ought to be one. And in the future, if we want to determine whether someone is truly pro-Israel, we should ask whether they are pro-Sarah. Are they for doing whatever it takes to stop her from being murdered tomorrow? Because you can’t be pro-Israel if you aren’t pro-Sarah. You can’t be pro-Israel if you support funding the murderers of Israelis. You can’t support both Israel and her enemies or support Sarah and her killer. Then we’ll know who is and isn’t pro-Israel. Because pro-Israel will finally mean something. Thank you for showing the hypocrisy of so many that support the PA while condemning Israel. Especially the so called Jewish Lobby. Regarding Gordis, whom I have not heard of, you missed an opportunity to point out that many of the primary victims of a boycott of Jewish Israeli hospitals would be the Arabs. Mostly "Palestinians" from places like Gaza as well as Syrian refugees. But then why should he care, it won't affect him. Sarah is an infant butchered with a knife. Sarah is an infant whose head was bashed in. Sarah is an infant ripped out of her mother's gravid abdomen and butchered. Sarah is a pregnant woman whose gravid abdomen is sliced open while she and her husband watch and get to watch the infant butchered before they are further mutilated and murdered. END OF GRAPHIC CONTENT. No, I do not apologize. These events happened in Mumbai and Israel. Note: If you are Jewish or Christian and live in Israel, and your government does not allow you to carry a weapon in order to defend yourself and others, you need to push the bums out of office and put in those that will support you. By the way, the Taylor Force act needs to be changed. No support for the PA or any other government or NGO in the world that supports the Palestinians for anything whatsoever, for ever. Period. If people wish to donate to a religious group that provides humanitarian aid to the Palestinians, they should make sure it is really doing that. I am enraged. ENRAGED. Do we have to have another civil war? Fu*k the fauxstinians. LET THEM STARVE. When someone prefaces his remarks by saying "I love Israel" you know that the next things to come out of his mouth is a raging Israel-bashing. That is what Israel basher John Kerry did in his farewell address upon leaving the State Department. He went into something like an hour-long rant claiming that it was all Israel's fault that there wasn't peace. Of course, his boss, Obama was always saying how much he "loved Israel", so his parting shot was to passively support a UN Security Council Resolution saying Israel's presence outside the pre-67 cease-fires lines was "illegal". The lesson is not to be taken in by honey words. To "love Israel" means to support it, not to curse it, condemn it or boycott "for its own good", as those like Gordis are advocating. Thank you, Daniel, for another insightful article.The doublespeak of the left is be truly shameful, but it is also very effective. The leftist Jews particularly will have much to answer for. Let them that have ears to hear and understand. Blessings in all your work. Thank you Daniel for your eloquent patience. It's an outrageous disgrace - liberal ignorance shields and protects evil. This was very difficult to read. I am married to an American of "Palestinian" descent who is more pro-Israel than many of our Jewish friends. One of our favorite pastimes is to go to the WWII museum in New Orleans. We remember the sacrifices our Countrymen made for the Jewish people and we pray for their safety and peace. I wouldn't fly Delta if you paid me after they came out in support of Saudi Arabia's judenrein status. Well thought out as usual. Frequently, I drive past Ramallah, or near Schem in Samaria, where my son's truck was firebombed and destroyed. Thank God he escaped unharmed. Each of Mohammed's victims could be any one of us. And since my name is Sarah, I take this even more personally.